Michael Fassbender was born on April 2, 1977, in Heidelberg, Germany. His mother, Adele, is Irish, and his father, a former chef named Josef, is German. When Fassbender was a toddler, he and his family moved to Killarney, Ireland, and thus he speaks with an Irish accent. In Killarney, Fassbender’s parents ran a restaurant called West End House. They have since retired, and leased the restaurant out to new managers. Fassbender received his primary education at Fossa National School and then continued on to secondary school at St. Brendan’s College. As a teenager, he took a drama class hosted by Donie Courtney. Afterward, he enrolled in theater and acting classes at the Drama Centre London. Fassbender started acting at the age of 16, when his former teacher, Donie Courtney, offered him roles with the theater troupe Bricriu. When Fassbender was 17, he was hired to produce, direct and act in a stage adaptation of Quentin Tarantino’s movie Reservoir Dogs. One of his earliest roles on-screen was in HBO’s miniseries Band of Brothers which aired in 2001. He continued to act onstage through 2006, when he co-starred with Mel Smith in the play Allegiance as part of that year’s Edinburgh Festival Fringe. That same year, Fassbender made his breakthrough film performance as the Spartan warrior Stelios in Frank Miller’s and Zack Snyder’s 300, which was released in 2007 and earned more than $450 million worldwide. 2007 also saw the release of Angel, a film in which Fassbender played the painter Esmé. 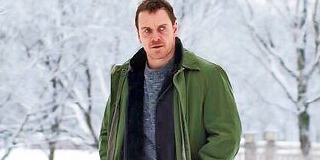 Fassbender’s role in the 2008 Steve McQueen film Hunger required the actor to lose a staggering 31 pounds. His unflinching commitment to the role of Irish Republican activist Bobby Sands paid off when he was awarded the British Independent Film Award for best actor, and his performance garnered additional praise at the Cannes Film Festival. Fassbender’s critical acclaim landed him a romantic role in Andrea Arnold’s Fish Tank. His success at Cannes also reminded director Tarantino of the young actor’s talent. Tarantino personally invited Fassbender to play Lieutenant Archie Hicox in the 2009 war film Inglourious Basterds. In 2010, Fassbender made more big-screen appearances in Jonah Hex and Centurion. The following year brought the release of several more Fassbender films, including Jane Eyre, in which he played rich man Rochester opposite Mia Wasikowska’s title character, and the Marvel Comics action film X-Men: First Class. Later that year Fassbender starred in A Dangerous Method, in which he portrayed psychoanalyst trailblazer Carl Jung, and McQueen’s Shame, in which he played a pained man secretly suffering from sexual addiction. 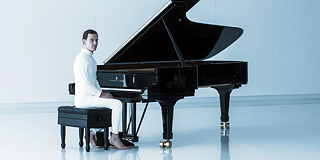 In 2012, Fassbender was seen as an android in director Ridley Scott’s Prometheus, a prequel to the Alien movie series. Fassbender appeared in a very different type of project the following year, portraying a slave owner in McQueen’s 12 Years a Slave (2013). The highly acclaimed film follows the true story of a free African American (played by Chiwetel Ejiofor) from upstate New York who is kidnapped and sold into slavery in the South. Later in the story, Fassbender’s character, Edwin Epps, and his wife are vicious tormentors of Patsy, an enslaved woman portrayed by Lupita Nyong’o. For the role Fassbender received his first Academy Award nomination, for best supporting actor. Fassbender returned to the X-Men franchise in the 2014 epic X-Men: Days of Future Past, playing a younger, enraged Magneto to Ian McKellen’s older, wiser portrayal of the same character. In 2015, Fassbender starred in two marquee roles—that of the ruthlessly ambitious thane in another film adaptation of Shakespeare’s Macbeth, with Marion Cotillard, and as one of history’s most highly scrutinized technology icons in Steve Jobs, directed by Danny Boyle. Fassbender earned additional Golden Globe and Oscar nods for the latter role. Fassbender reprised his role as Magneto / Erick Lehnsherr in 2016’s X-Men: Apocalypse. He followed that by playing the romantic lead opposite Alicia Vikander in The Light Between Oceans, and as Callum Lynch in the film version of Ubisoft’s video game series Assassin’s Creed for Sony Pictures.